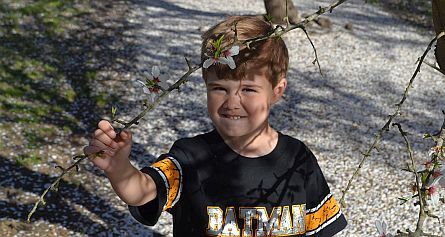 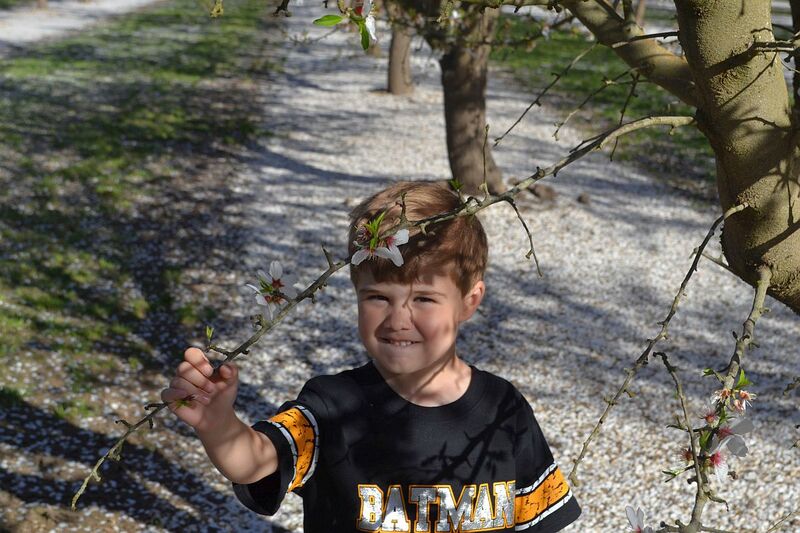 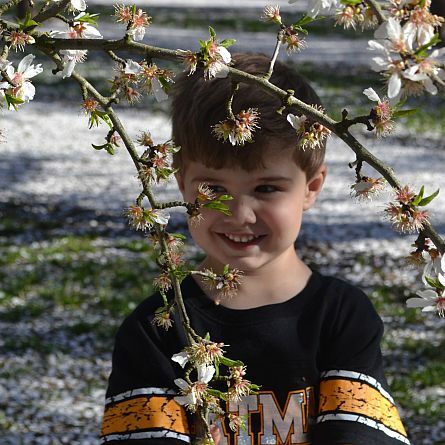 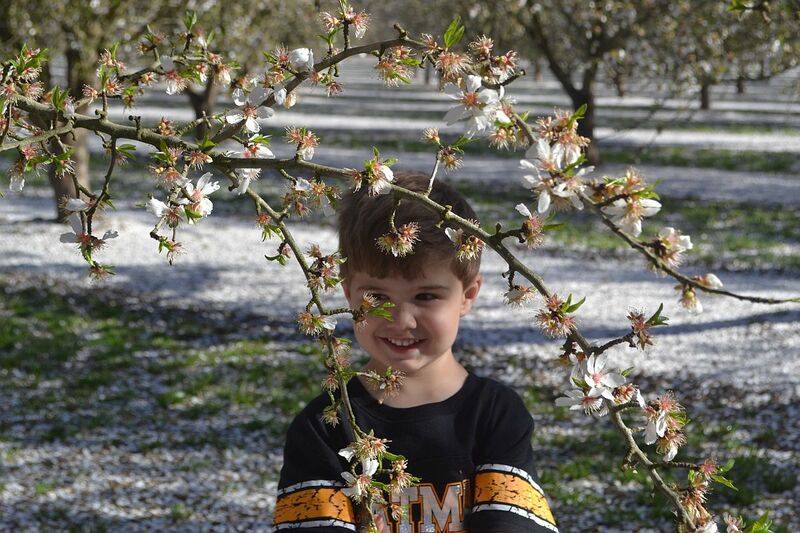 Almond Blossom Season is always a Lot of Fun! 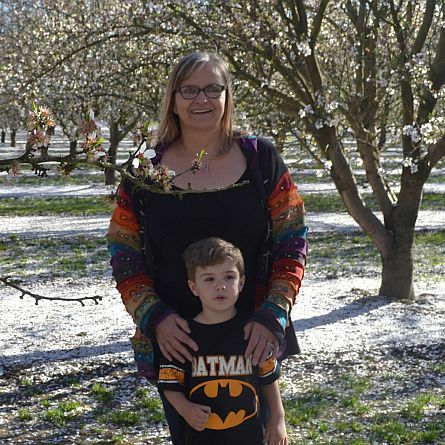 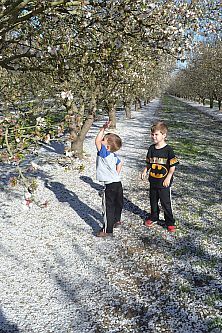 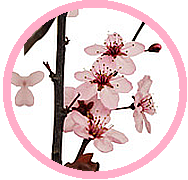 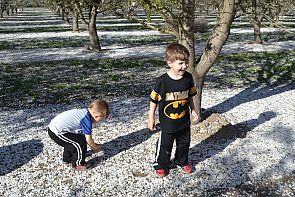 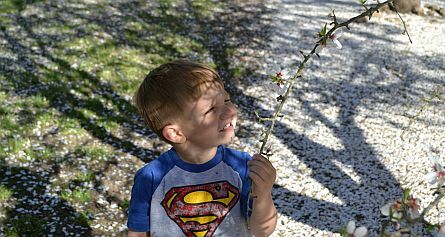 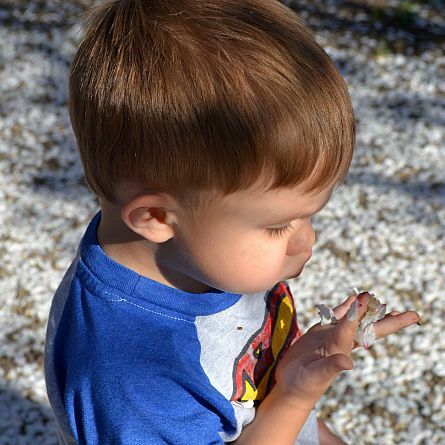 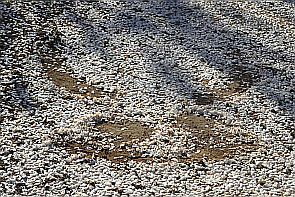 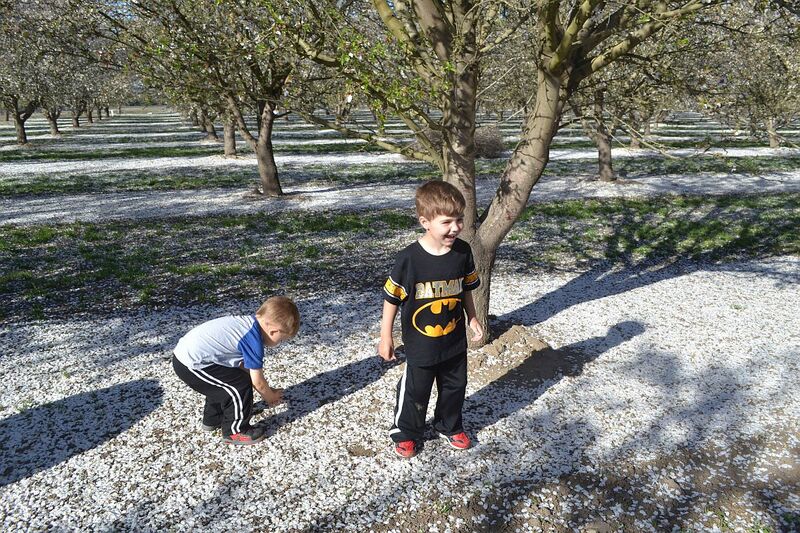 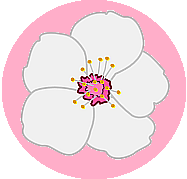 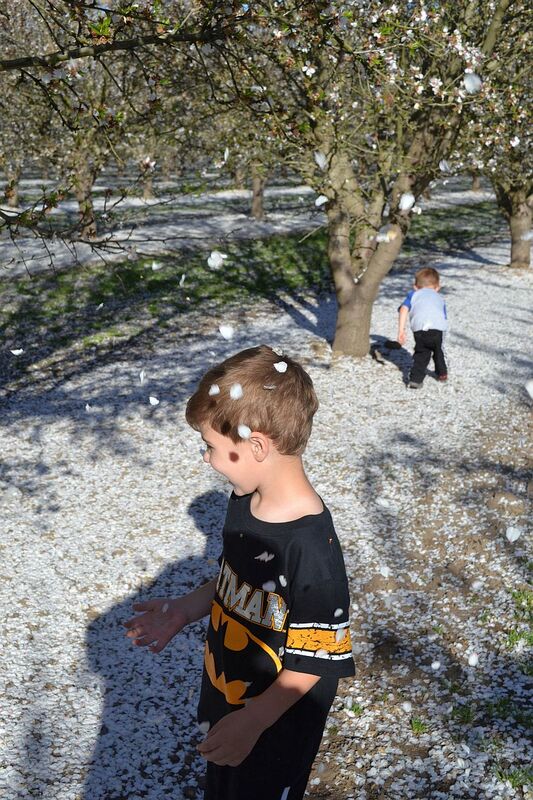 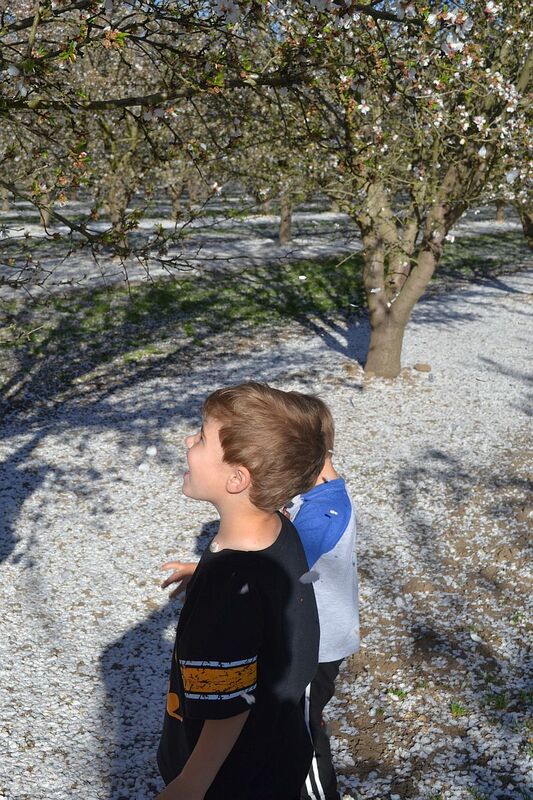 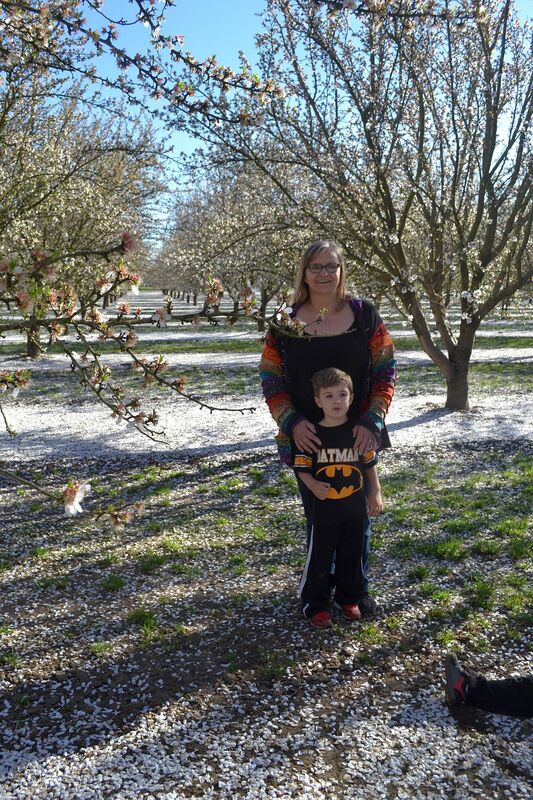 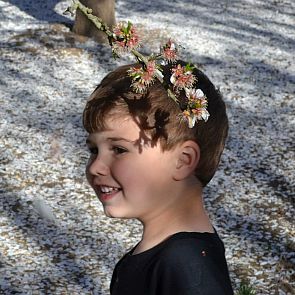 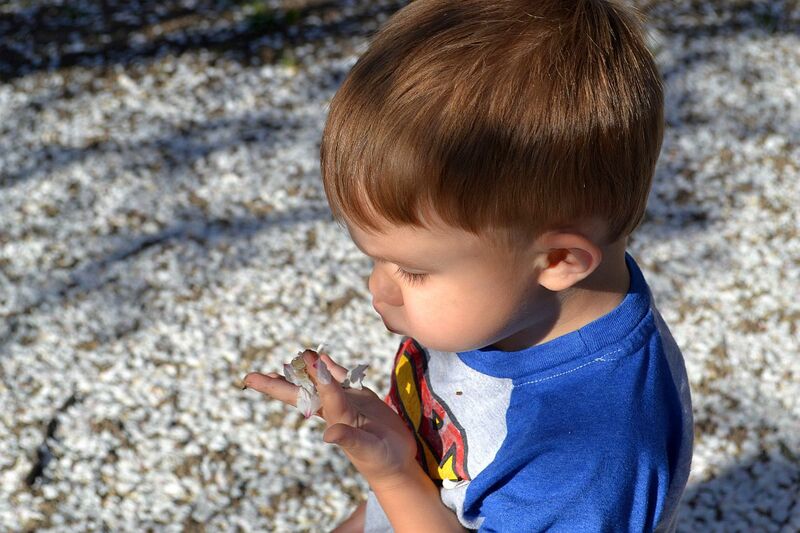 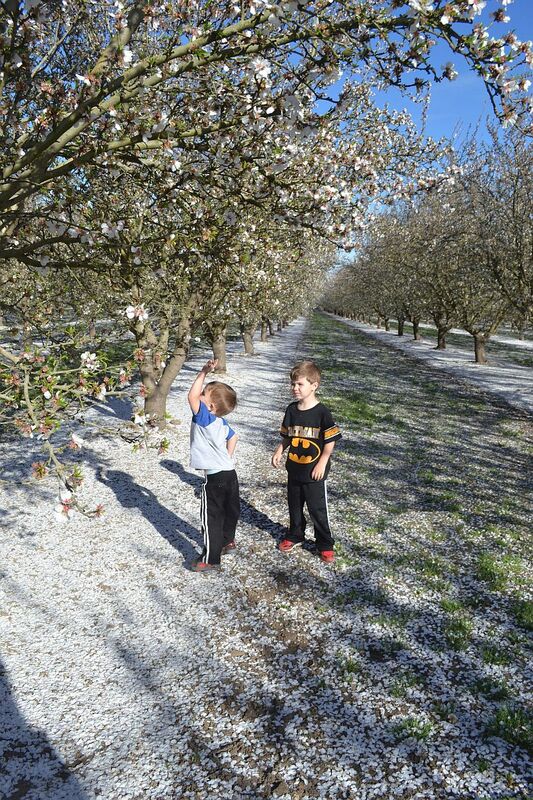 Around here, almond blossoms are called "Manteca Snow." 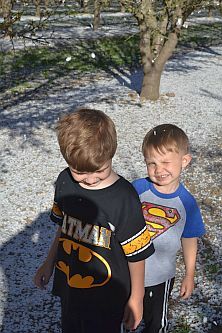 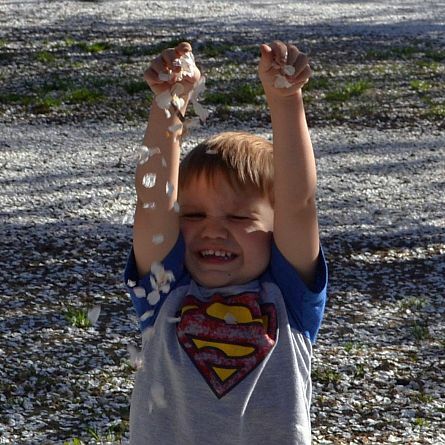 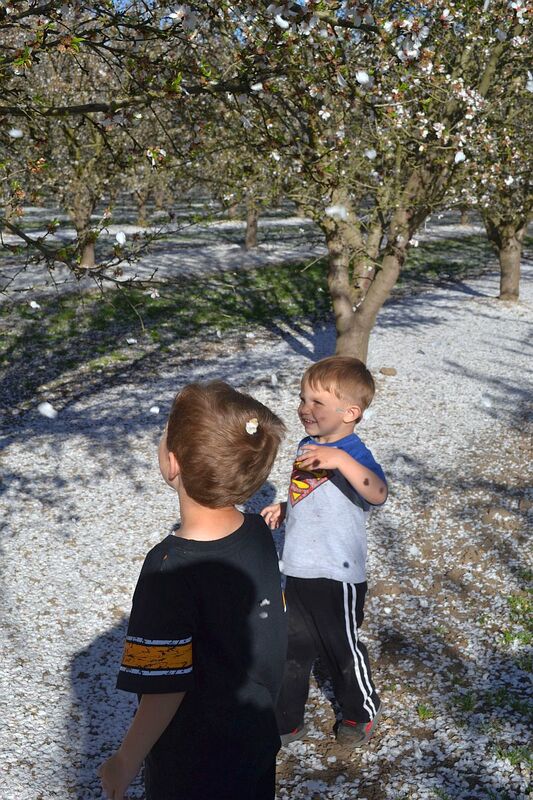 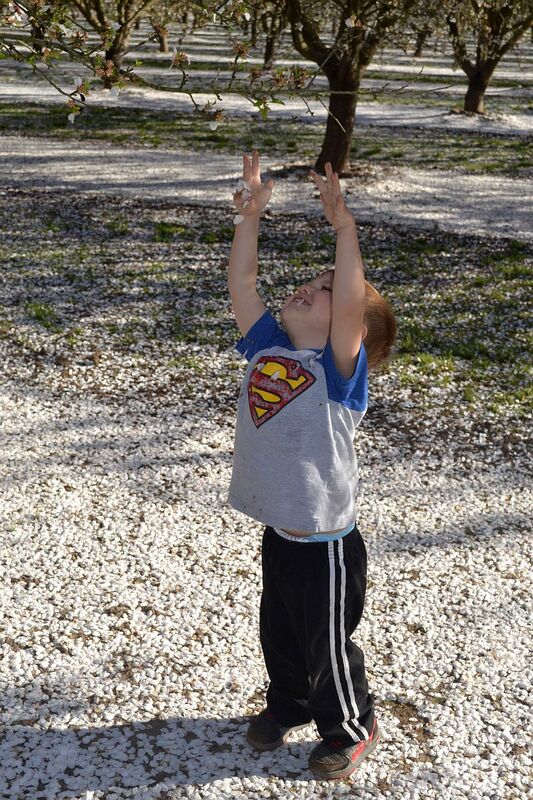 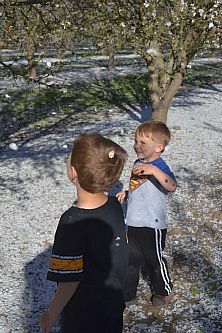 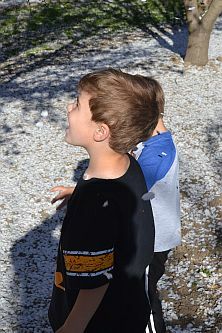 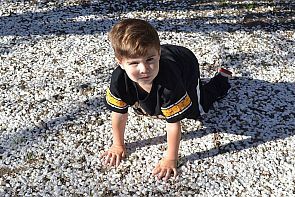 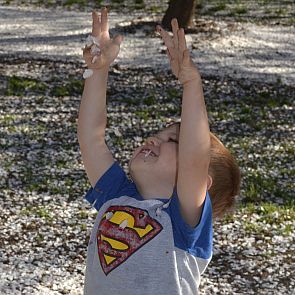 Landon and Liam enjoyed playing in the "snow" almost as much as they enjoyed the real snow. 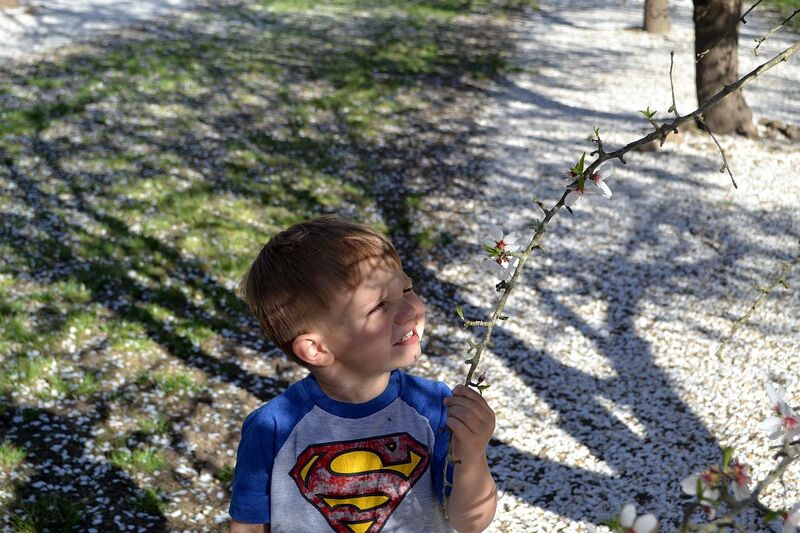 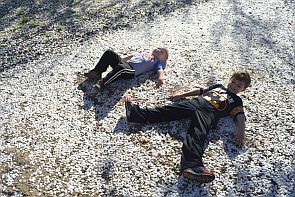 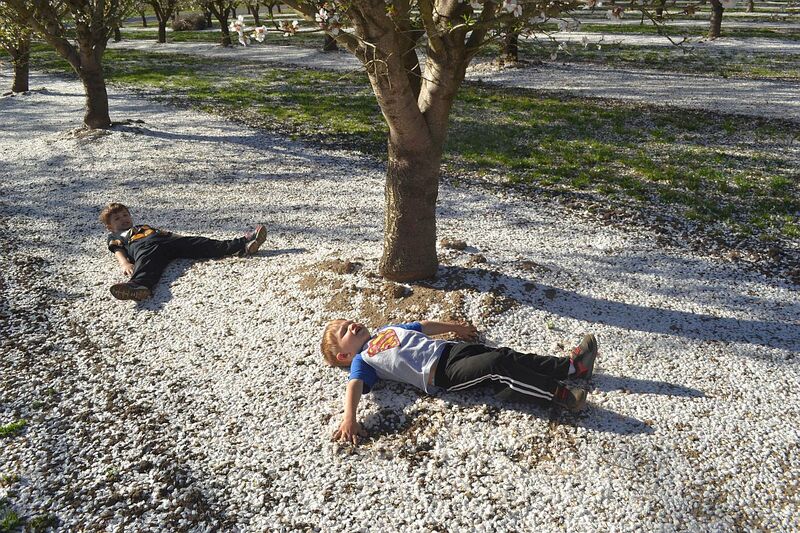 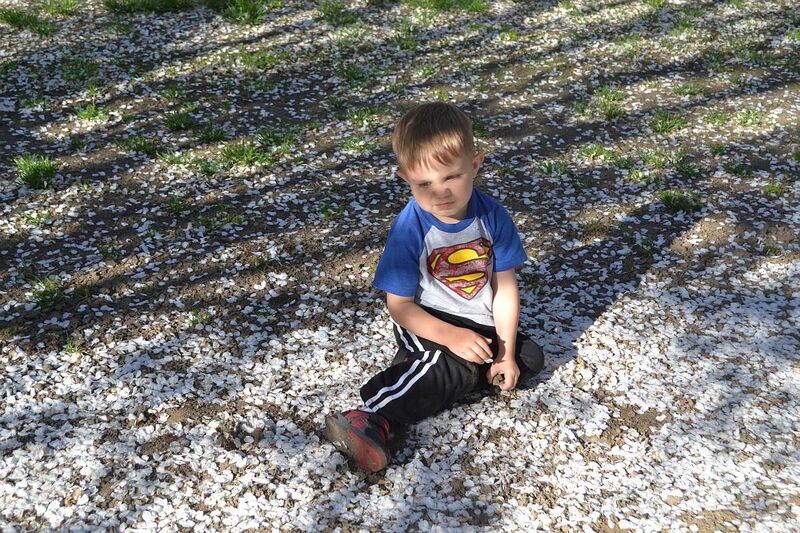 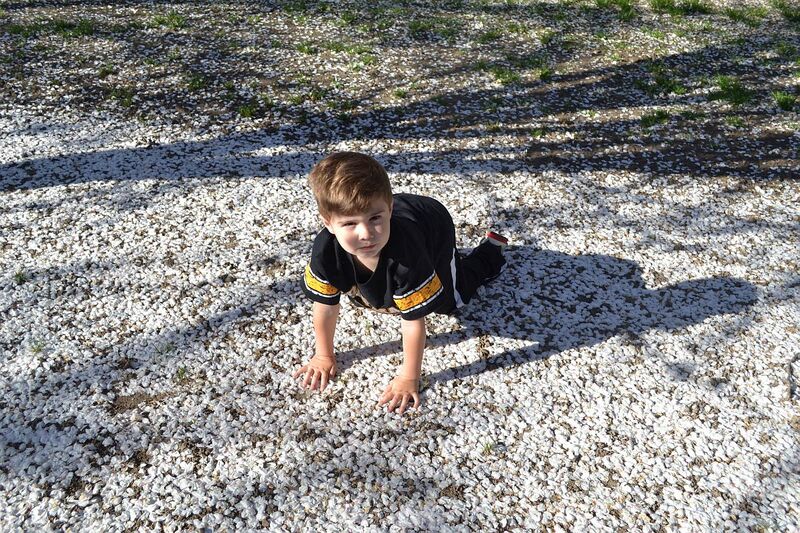 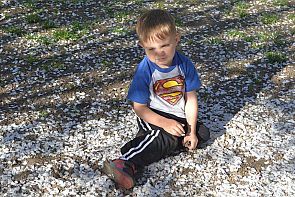 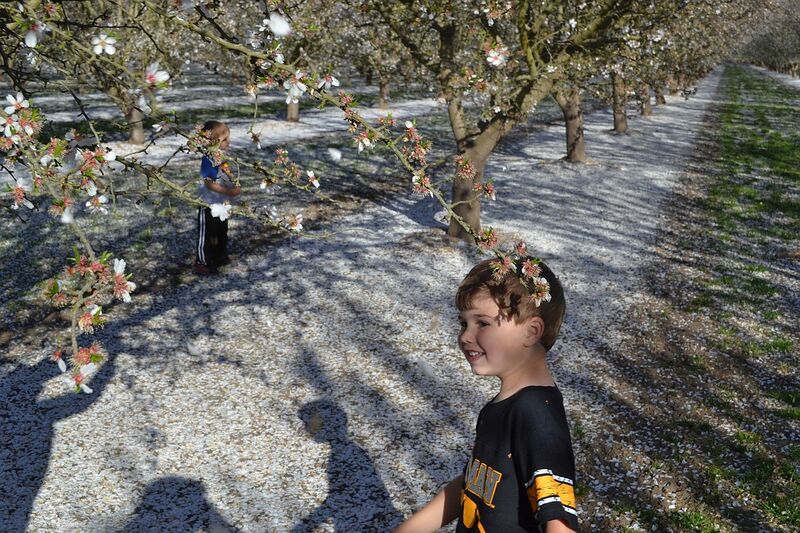 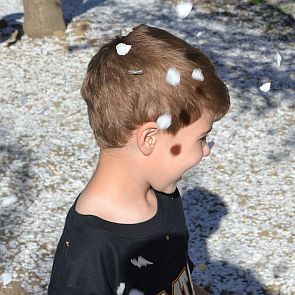 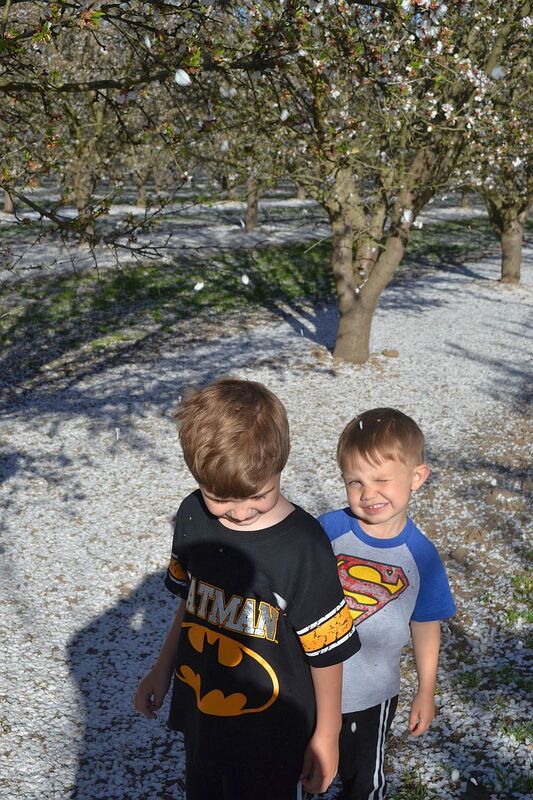 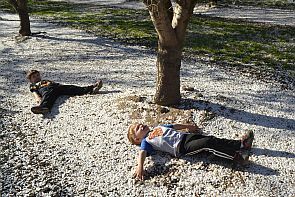 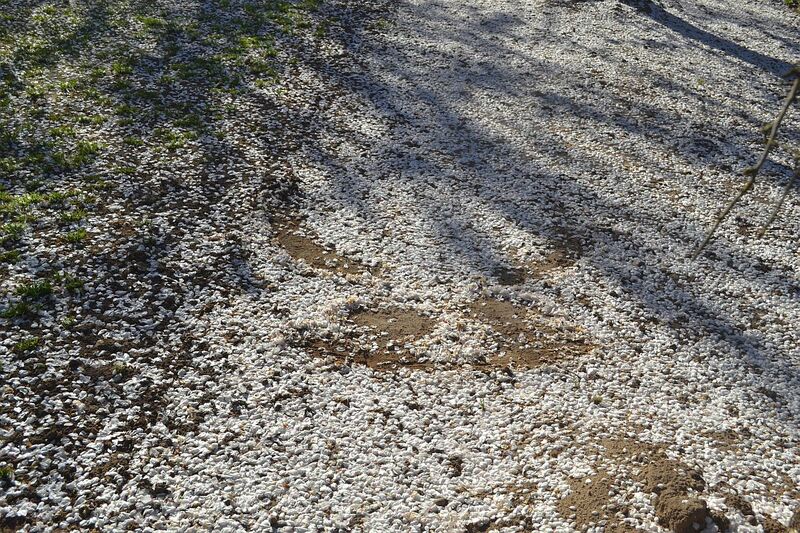 They even discovered that you can make snow angels in the blossoms.